Gentle Readers, guess what? 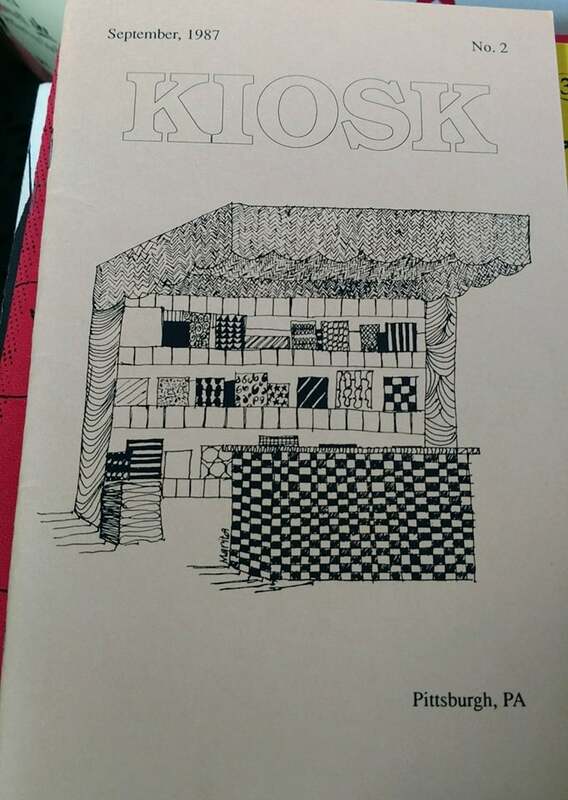 A friend from college sent me the September 1987 issue of Kiosk, a literary magazine. 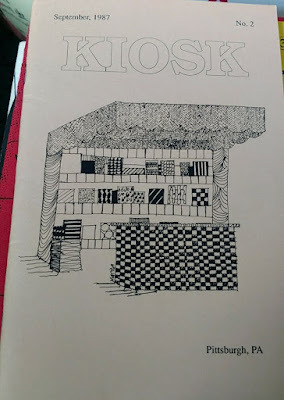 He had saved several issues, some including poems of his own, and some with poems written by friends. A poem apparently written by me appears on page 14. What? I have no memory of this poem, or of the literary magazine, or of submitting anything to same. Or much memory of college, to tell the truth. This poem is not among the small stack of papers I have stashed away from when I was Very Young. 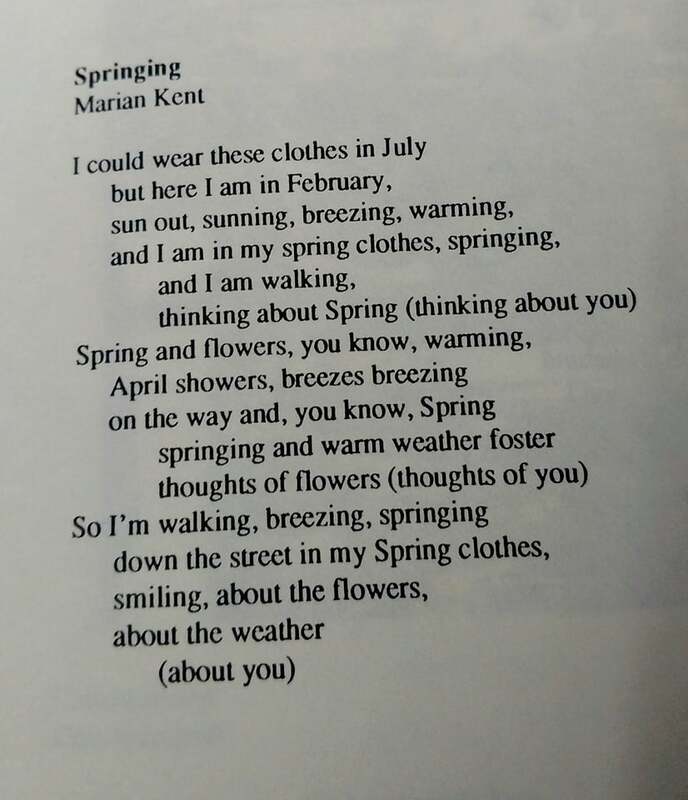 But there is no doubt who wrote “Springing,” is there? Wow. It's a little e e cummings-ish. Reminds me of those poems of mine that I don't remember. So good to have this record. For me, this is such an elegant love poem......loved it. No doubt in my mind.. and still Springing after all these years! Such brilliance, and very delightful to read. Sometimes I stumble of written notes of poetry of mine from way back, and I always wonder 'did I really write that'. In a good way though. Warm greetings! This was a delight - like love, fizzy and funny and fine. Takes me back... I almost remember this feeling. This is absolutely stunning, Marian❤️ and its tons better than e.e cummings! 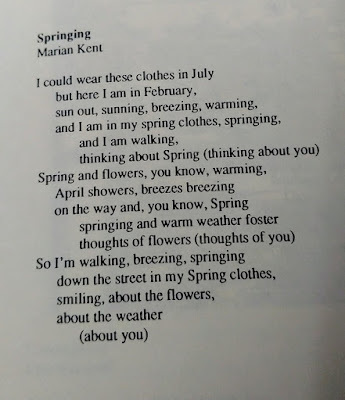 What a delight find... even I remember those moments when you dressed out of season for no other reason than this. I don't know which I love more, the poem or the tale of how you found it. That is awesome. Totally springing! For me spring is summer. I know this feeling, My love takes me there. That's wonderful Marian! It follows years from now that one of your poems might find its way into the pages of a respectable publication. Yes, why not!